I have been looking forward to Nazca for a while now. I never really knew much about it until I was sitting on the couch with Chase’s mother before the trip when she mentioned it as one of the things she really regretted missing on her last trip to Peru.When I looked it up, I could see why! The mystery behind these lines and why they were created is still hotly debated. They are perfect in their dimensions, yet so large you can only see them from a plane. 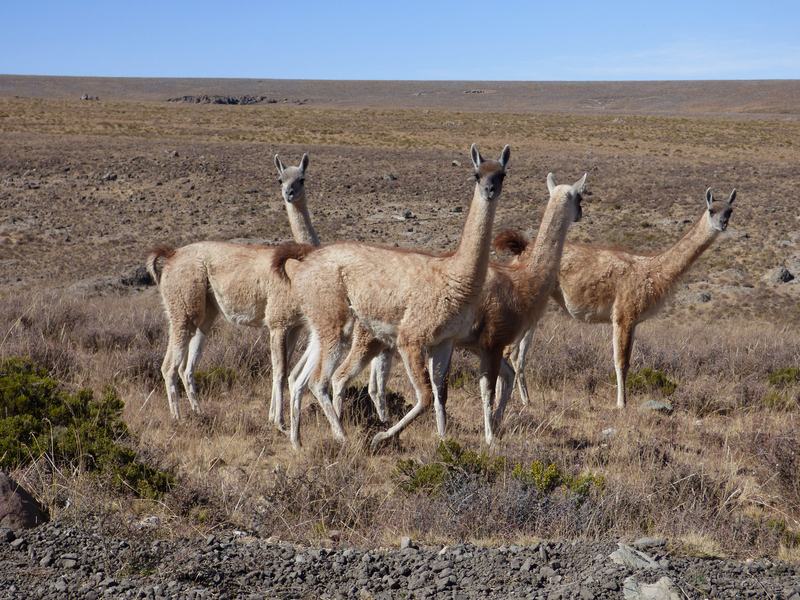 With the lure of mystery and excitement to see them, this became the next stop on our trip through Peru. Since we had a rented car with Chase’s parents, Nazca was only a stop on what became one of the most eventful road trips I have ever taken! 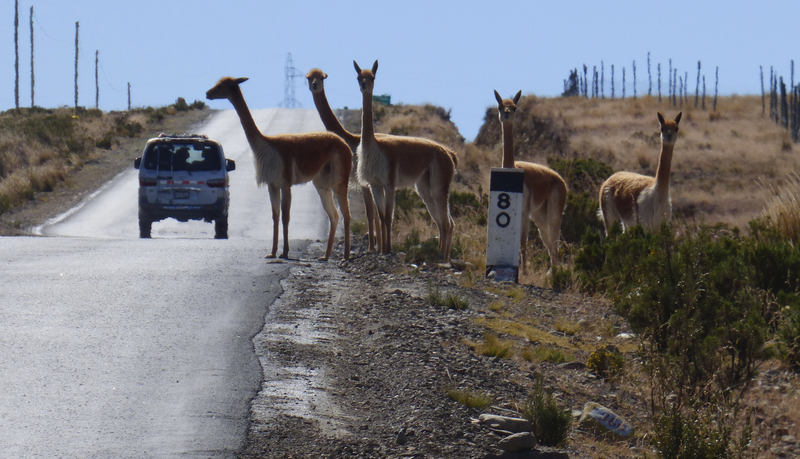 It took us 7 hours to drive to Nazca from Lima, with a few stops in between. As we drove through the Peruvian desert, it amazed me that so many climate systems exist in a single country, let alone one as small as Peru (in comparison with the size of the US). 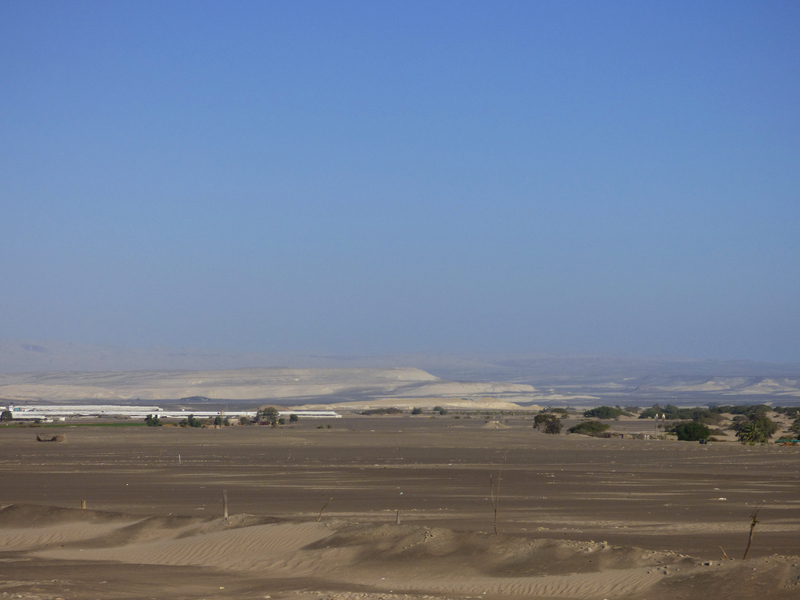 The sand dunes of Ica are well known for sand-boarding, but the desert surrounding it showed me that it was much larger than Ica. In every direction, all we could see was sand! As mentioned in my post about Lima, our drive to Nazca took us through a variety of cities with names from around the world, including Sacramento and Asia. Although it was a long drive, it was only a taste of what we would be driving in to for the next 2 days. 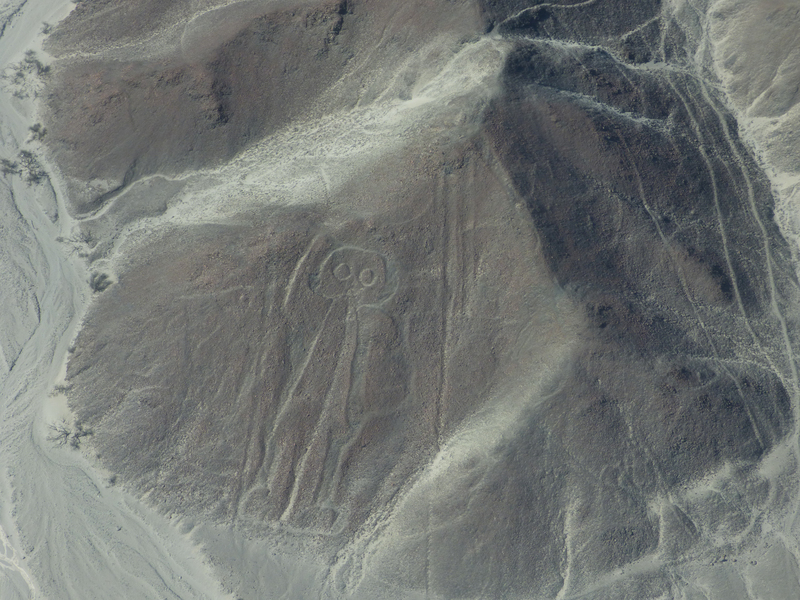 The city of Nazca has clearly thrived on the tourism of the Nazca Lines. We stayed about two blocks from the main square, and even though we arrived close to 10 pm, the main plaza was full of people and music. There were more chicken restaurants than I have ever seen, and a market that is a mish-mash of food, clothes, and everything in between. It was certainly the most unique place I have seen. The town itself was definitely worth the look around! In the market, there were sections with fresh fruits and vegetables, meats for sale including entire plucked chickens, and it was all surrounded by clothes, music, electronics, and shoes! My favorite part of the market, however, was the puppy pen. They were tiny little guys, barely wobbling around, and 30 Soles a dog. It amused me that in a town full of stray dogs, these locals were trying to sell stray puppies! Good thing I live in America, or I would have scooped up those puppies and brought them home with me. 😉 On our last night in Nazca, we stumbled upon some of the local fights, more chicken restaurants, and an evening hanging out in a local hot spot. When I say local, I truly mean local. We didn’t see another tourist the entire night even though the place was packed! 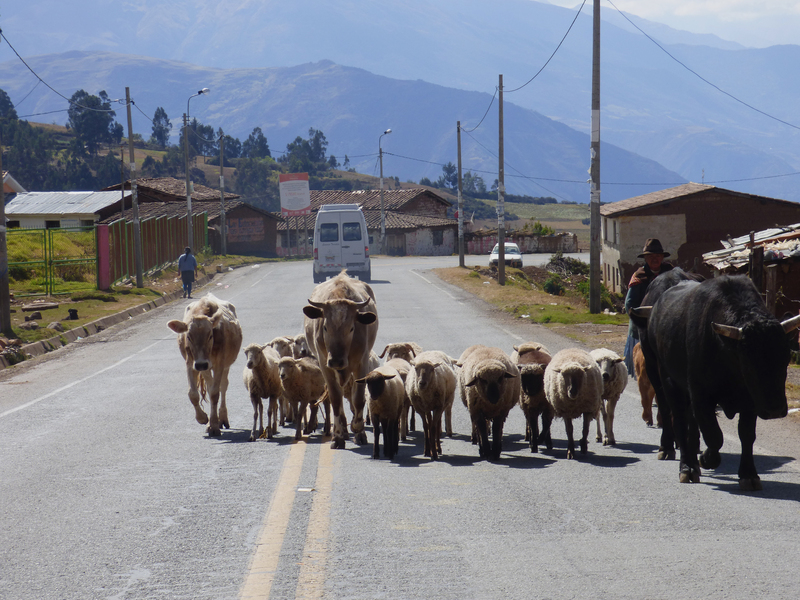 It was a great experience getting to know the Peruvian people and their day to day life. 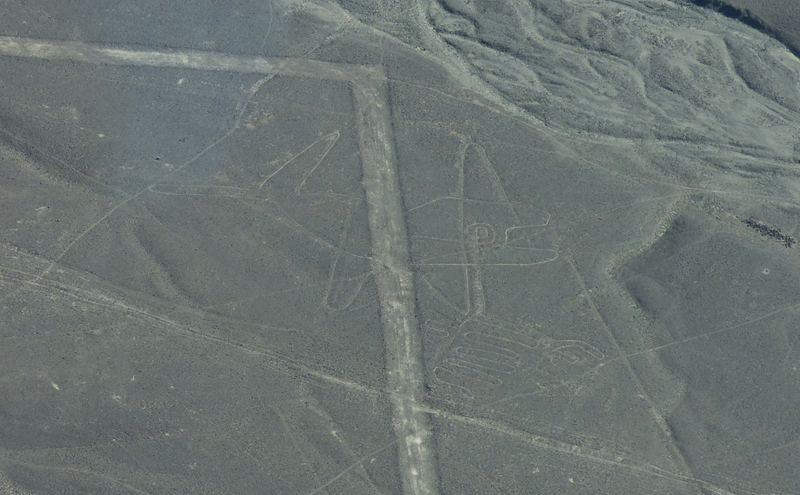 The morning of the Nazca Lines, I could barely contain my excitement. We got a transport to the local airport, paid, and then proceeded to wait for our turn to take a plane up. Because of the cloud cover, we had to wait three hours to go up. At first, I was bummed that we were brought to the airport with the company fully aware that we wouldn’t actually get our scheduled time. However, because we showed up really early, we were at the front of the line! Any person who showed up for a flight once the clouds cleared was on a three to four hour waitlist to go up, if they had time at all! So, we played cards and waited it out. 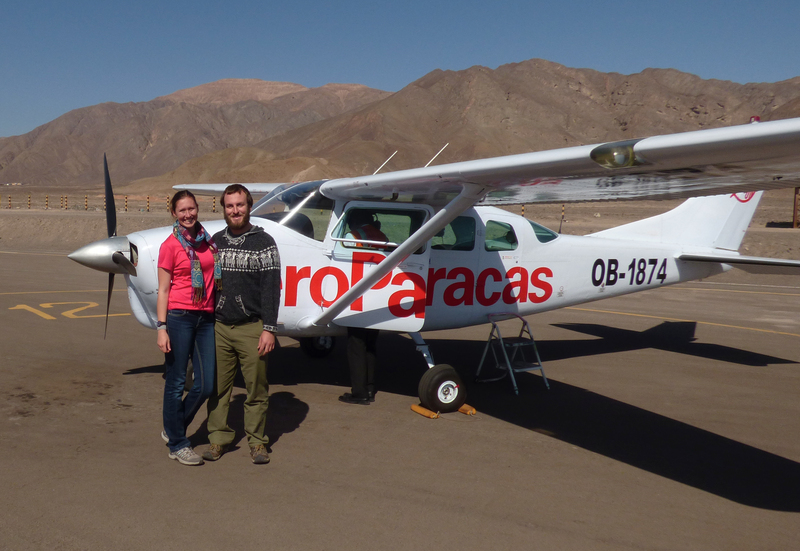 Our sweet ride for flying over the Nazca Lines! As we walked out for our flight (finally), we were shown to a little 4 seater plane. The only types of planes I have had the pleasure of flying in are the giant behemoths for flights around the US and South America. To say the least, this little four seater was a new adventure. Chase and his dad took the two front seats behind the pilot, and his mom and I got the very back seats. This gave me a better view out my window, so it worked out well. I put my headphones on and buckled in for the ride. BOY, was I surprised! I need to preface this by saying I have never gotten sick on a plane or boat before. I even read in the car on windy roads without batting an eyelash. That little four seater plane got the best of me, however… As we went up, the pilot warned us that the ride may be a little bumpy. Bumpy was an understatement! Up, down, up, down, twist, drop, up, down, spin! The airplane was almost never level, but simply right side windows facing the ground or the opposite. My stomach churned as we flew around, and I was very surprised! The views, however, were worth every moment of stomach churning and the flight itself was quite fun. In our flight, we got to see 12 figures. They are huge! As I looked at them in reality and not in photos, I could not figure out how they originally were created with such accuracy! One of the images, a spiral, is almost perfect in it’s dimensions, a feat that is nearly impossible, let alone without being able to see the final picture. Among the other images we saw were a monkey, hands, astronaut, whale, tree, wolf, and hummingbird. It was simply incredible! I upped the contrast and a few other features in my photos to make the images easier to spot for the purpose of this article, but they simply cannot do them justice. No picture can. Getting to experience this part of history was a surreal experience that quickly became one of the highlights of our trip. 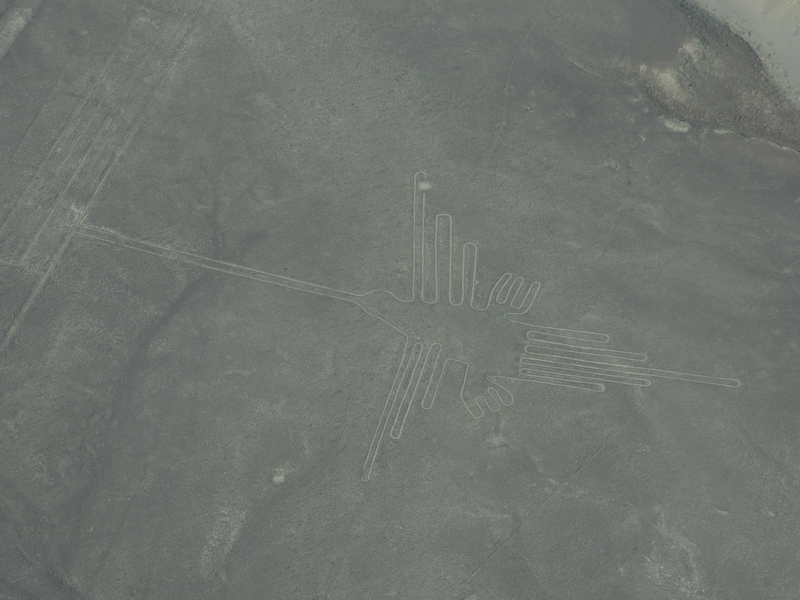 If you ever get the chance to hear down to Peru, the Nazca Lines are a must see. The astronaut, also made in to the side of a mountain! The company we used for the flights was Aeroparacas. The reason I bring this up is that there are unusually high amounts af crashes each year for the Nazca flight companies, and this is one of the reliable, safe ones. After all, the flights are only fun if you make it back down safely! 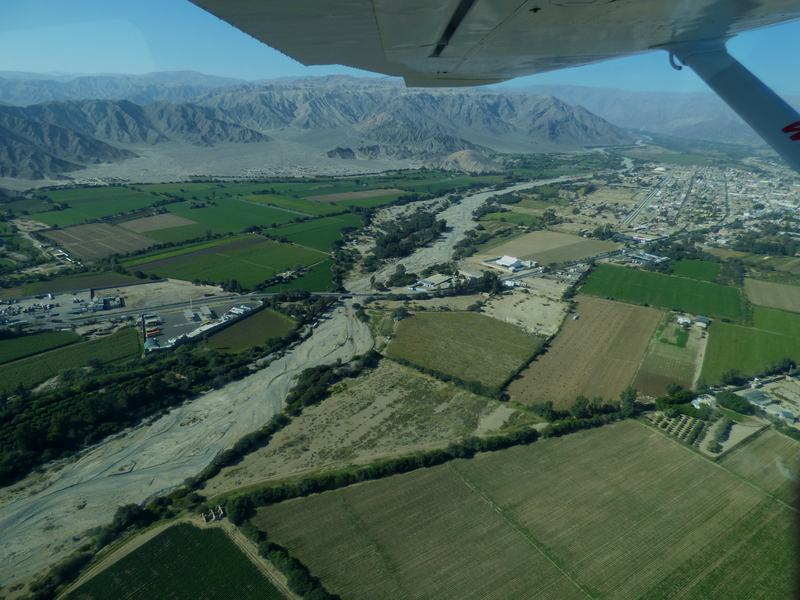 😉 After flying high over the Nazca lines, we hopped in the car and headed towards Cusco. 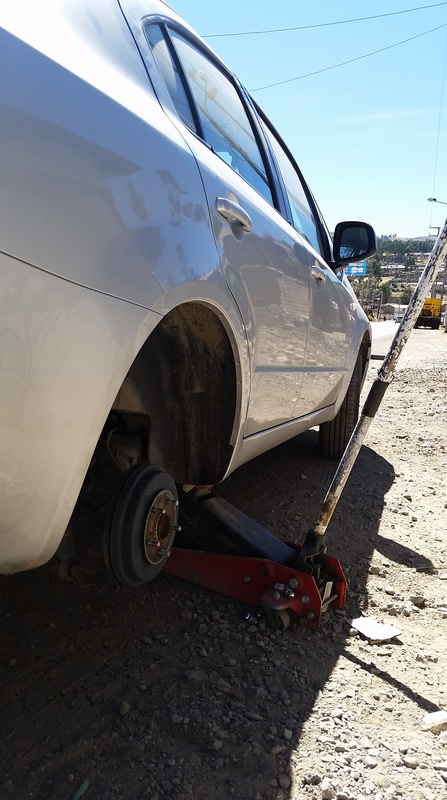 This part of our road trip was by far the most eventful. We went from sea level to a little over 15,000 feet in elevation in under 3 hours! 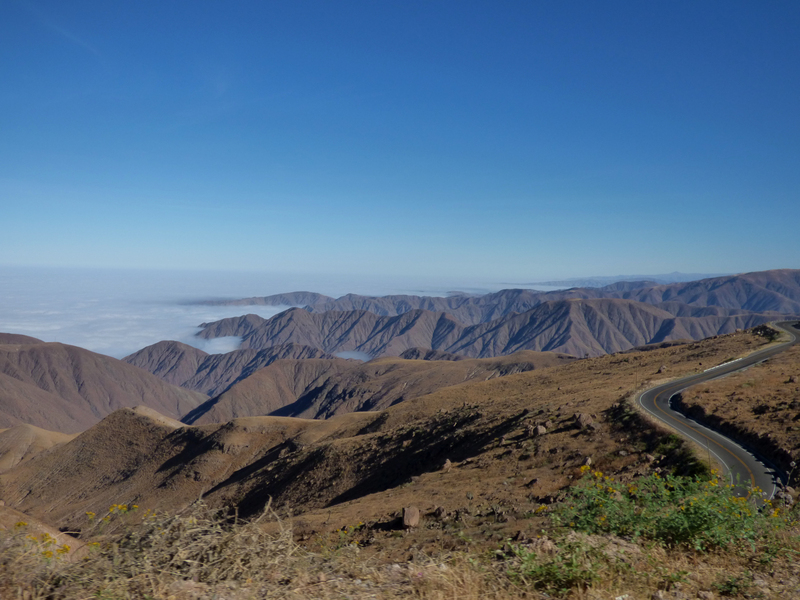 It was beautiful to suddenly rise above the clouds covering the sea level ground and drive through the mountains that were towering well above them. 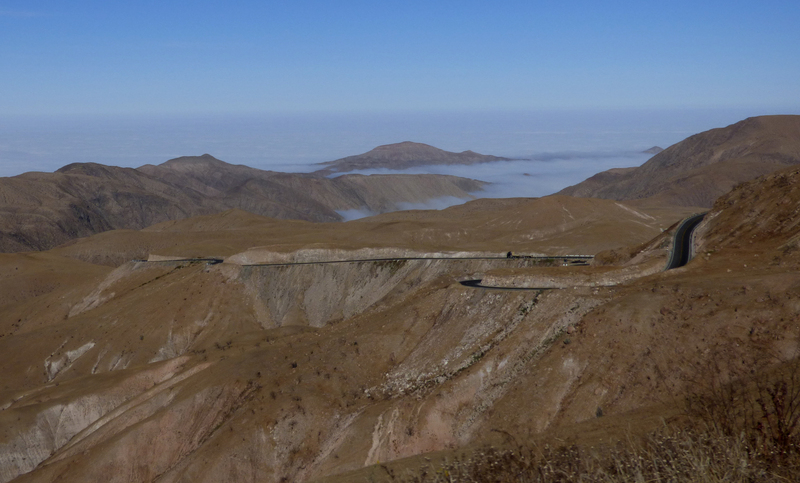 When we reached the top, I was able to see our road spiralling down the mountain in to the clouds below. It was a sight to see! 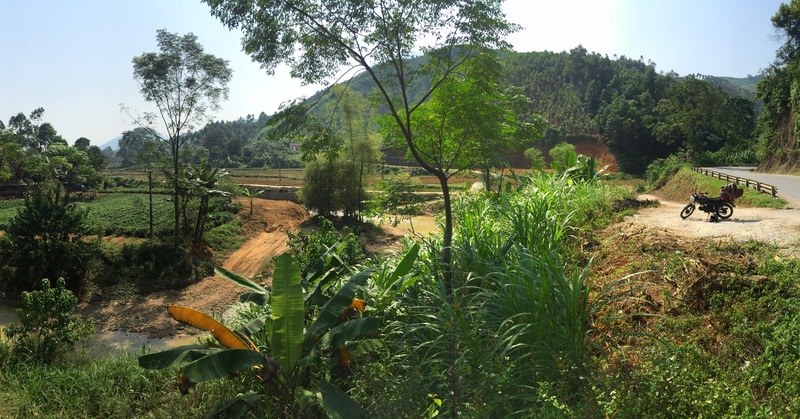 This was part of the road we took with LESS curves and climb… !! !